This is a big one! Big as in space (Reverb). 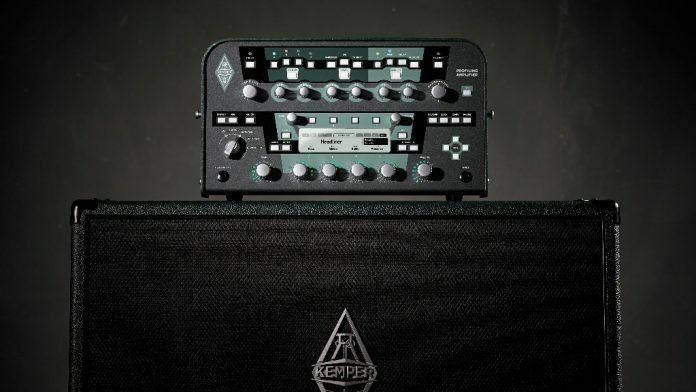 Kemper have announced version 5.7 of the acclaimed Profiler OS with five new reverb modules. Kemper GmbH, the makers of the acclaimed Kemper PROFILER announced today the immediate availability of PROFILER OS 5.7. This new version introduces five new, studio quality, „big machine“-type reverb algorithms: Spring Reverb, Natural Reverb, Easy Reverb, Echo Reverb, and Cirrus Reverb. It also brings some new routing possibilities and a lot of system enhancements. Effects slots/ placement – Now since OS 5.7 all the FX of the Profiler incl. Delay and Reverb can now be positioned freely into any FX slot before or after the Amplifier section. This means that the guitar player could place 6 Delays and 2 reverbs around the Amplifier … which might make no sense, but it is possible. To put Delays and Reverbs into their designated slots makes still sense though as these slots have special routing features which can be defined in the global rig parameters.